Hello there, Gameologinistas, and welcome to our weekly thread for the discussion of weekend gaming plans and recent gaming glories. 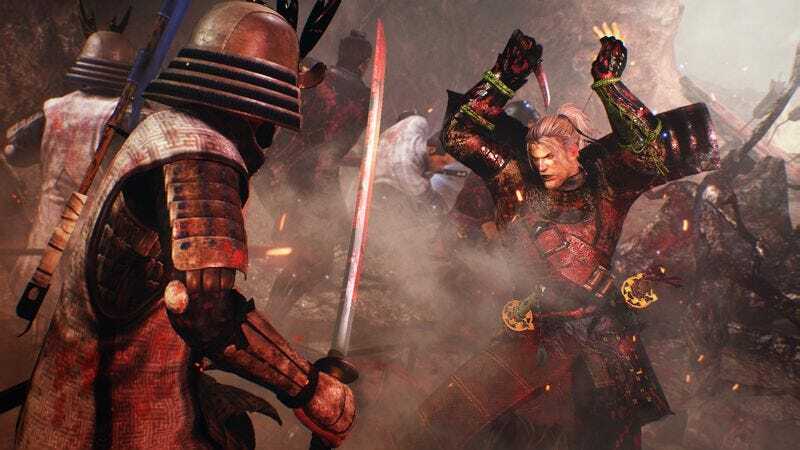 If you’re on the look out for new stuff to play during your time off, this week has delivered a couple of interesting samurai-flavored treats to get your bloodlust flowing. First off there’s Nioh, a demanding Dark Souls-style PlayStation 4 role-playing game from the makers of Ninja Gaiden. It’s based on a tiny bit of real-world history, with tons of dark Japanese mythology poured on top. I won’t be playing this one myself, but our very own William Hughes has wrapped it up and you can expect to see his review next week. If you want to get in on the samurai action but you’re not looking to drop $60 on something that may very well drive you up the wall, Ubisoft is offering an “open beta” (read: free, limited-time demo) of its upcoming sword-fighting game For Honor. This one pits samurai against Vikings and knights in massive fights for battlefield supremacy. The marquee multiplayer mode plays out a bit like a slower, more complex Dynasty Warriors, with two teams of four players tearing through dozens of each other’s computer-controlled mooks until another human shows up to engage in a methodical, high-drama duel. The beta, which started yesterday and runs through Sunday night, only contains that multiplayer mode along with two others. The final game, which is out February 14, will have a single-player campaign as well.